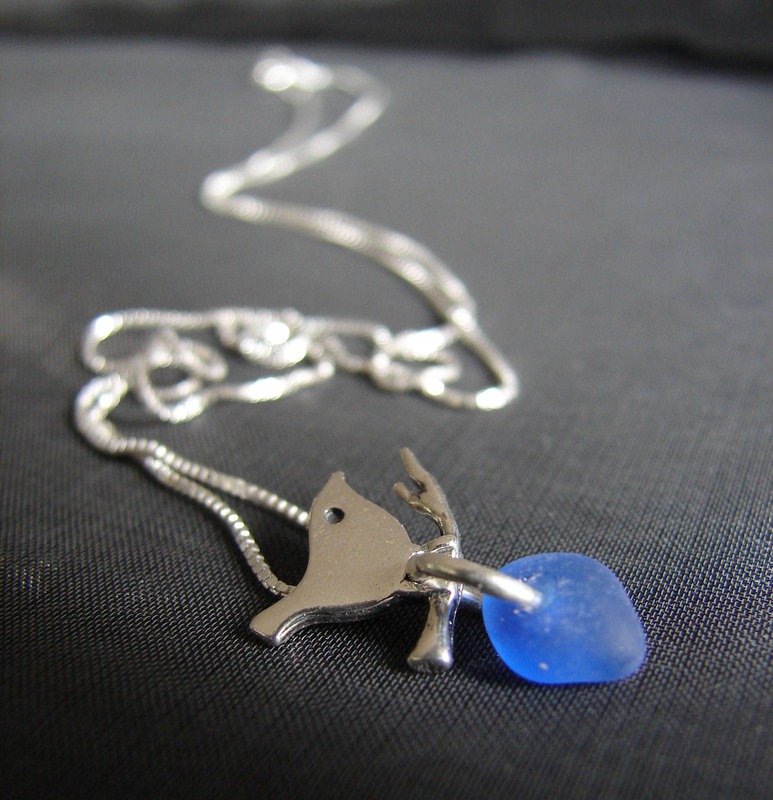 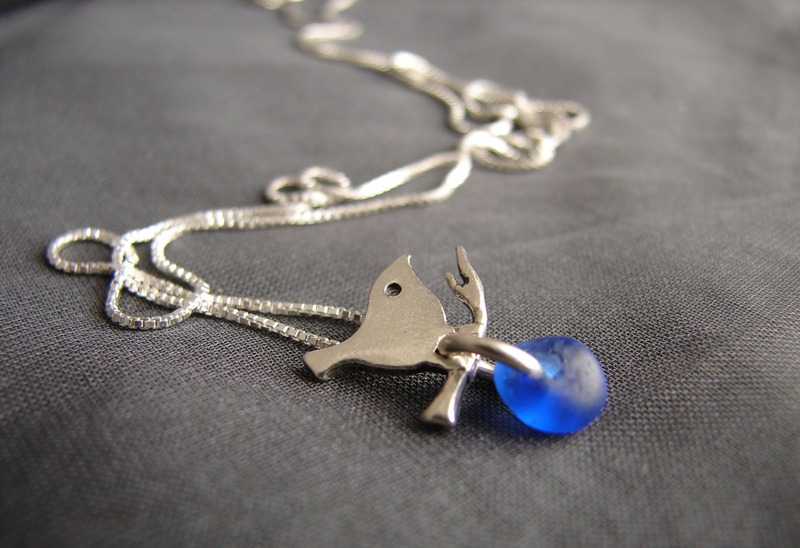 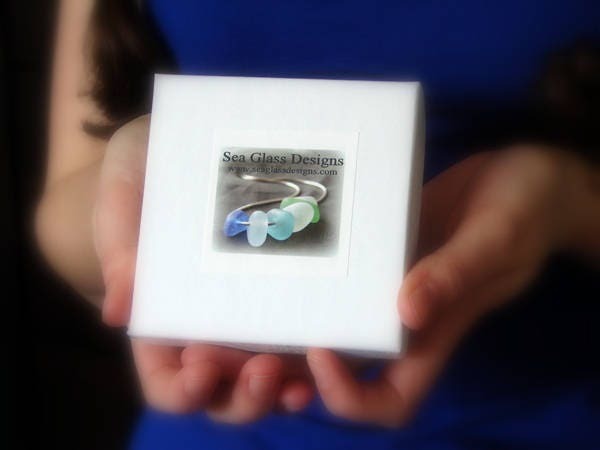 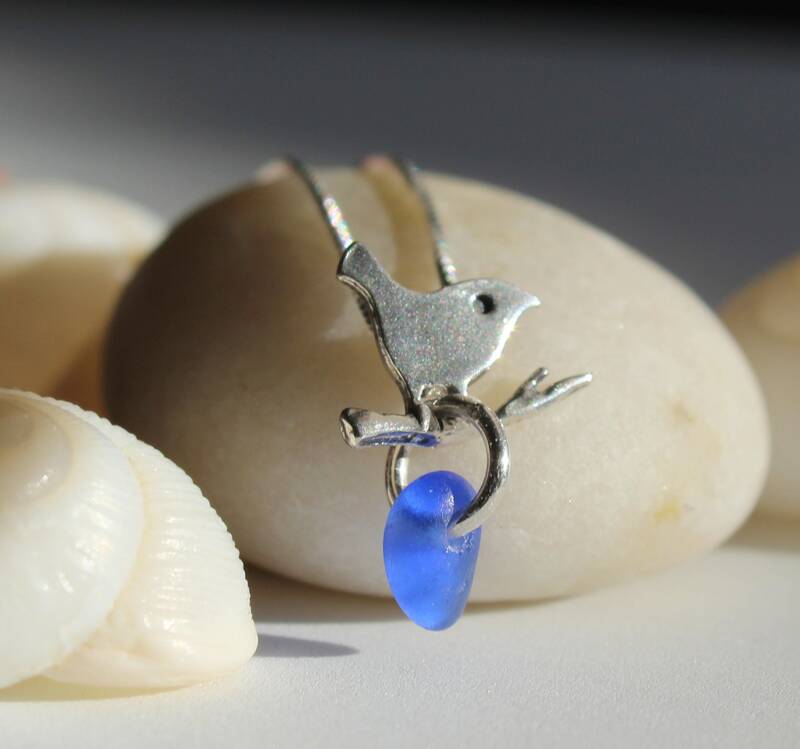 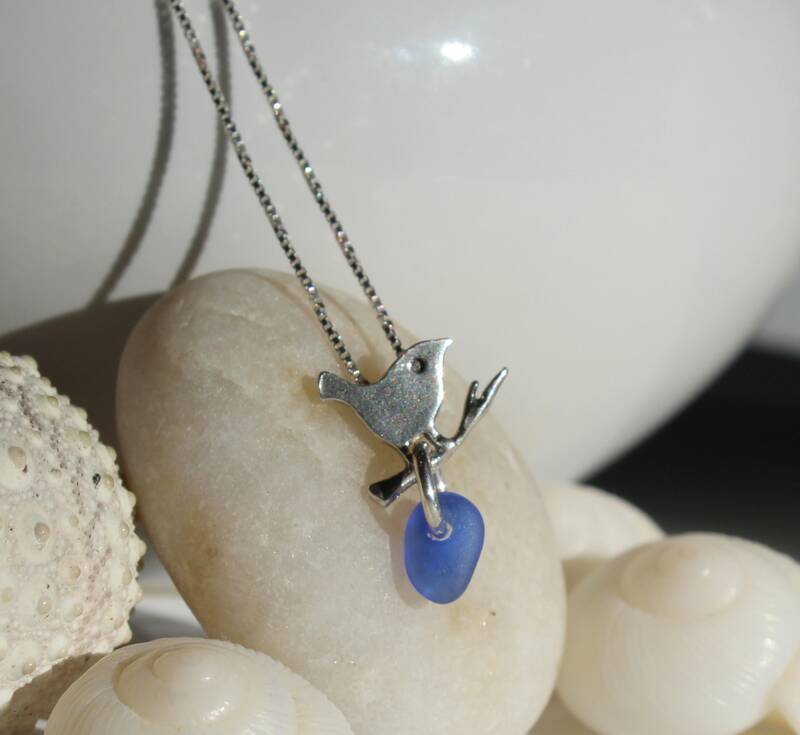 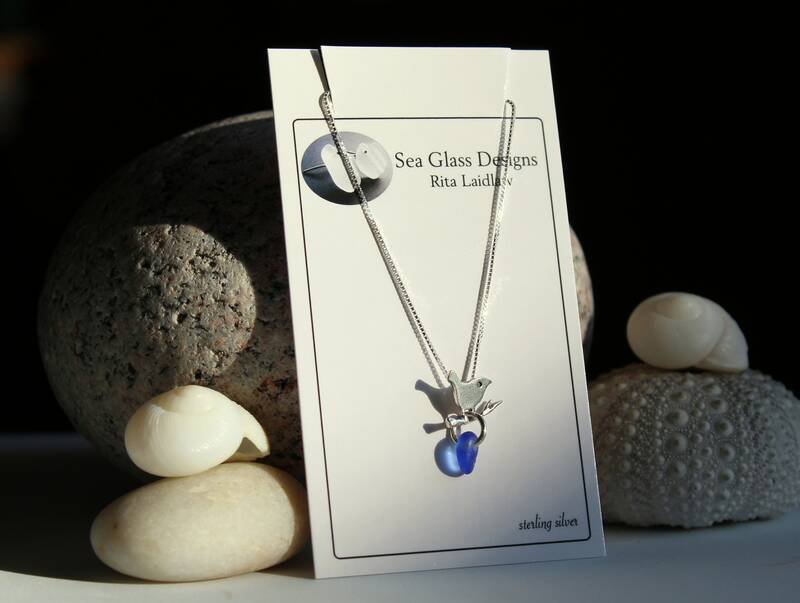 Our delicate Little Bird sea glass necklace features a little bird in sterling silver, along with a drop of genuine sea glass in cobalt blue. 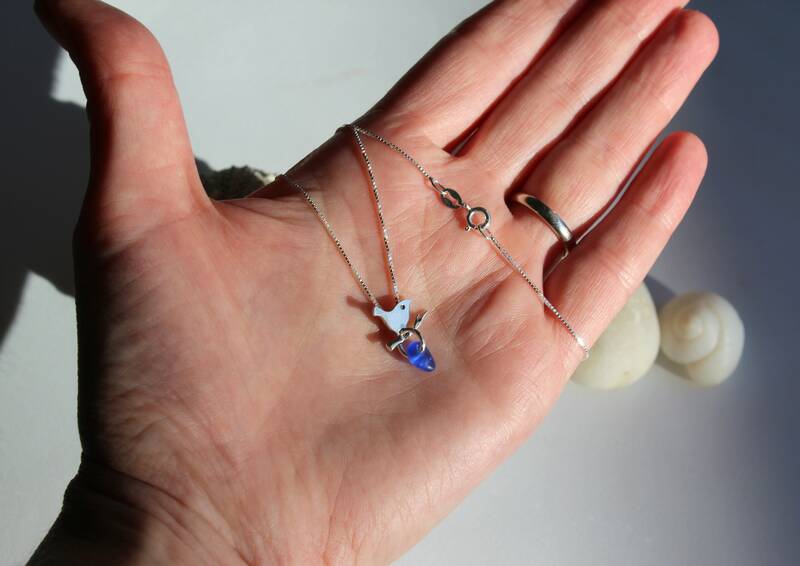 The pendant measures 5/8 of an inch, and the sterling silver chain measures 18 inches in this sweet little everyday necklace. 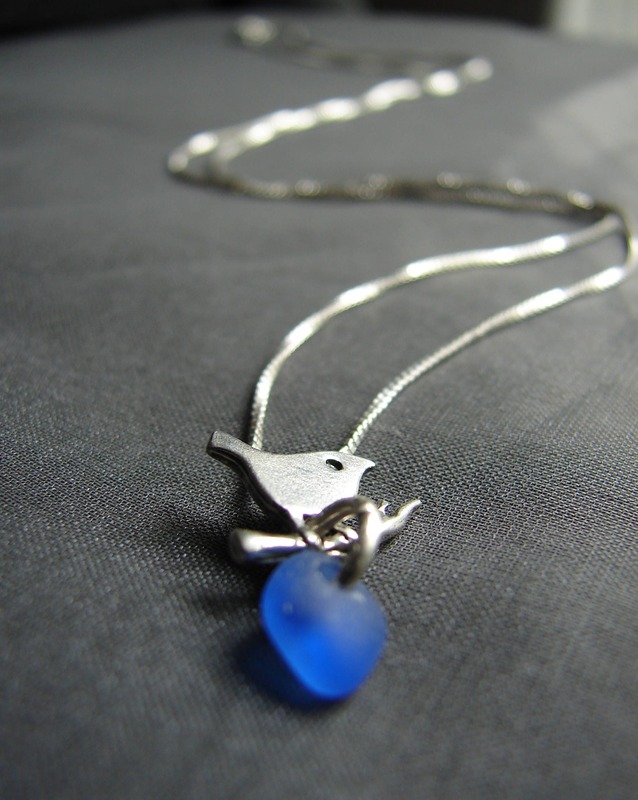 Perfect, I was surprised at how delicate and tiny it is. 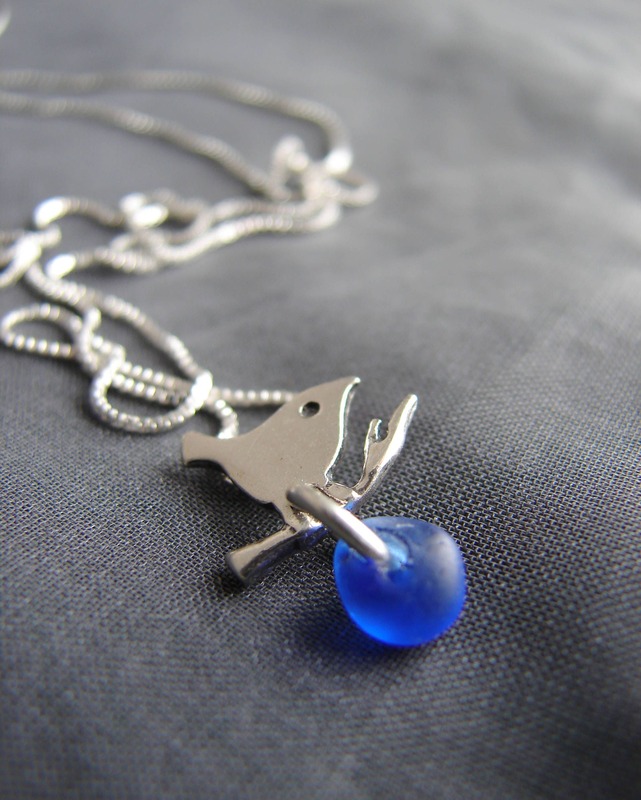 Just right. 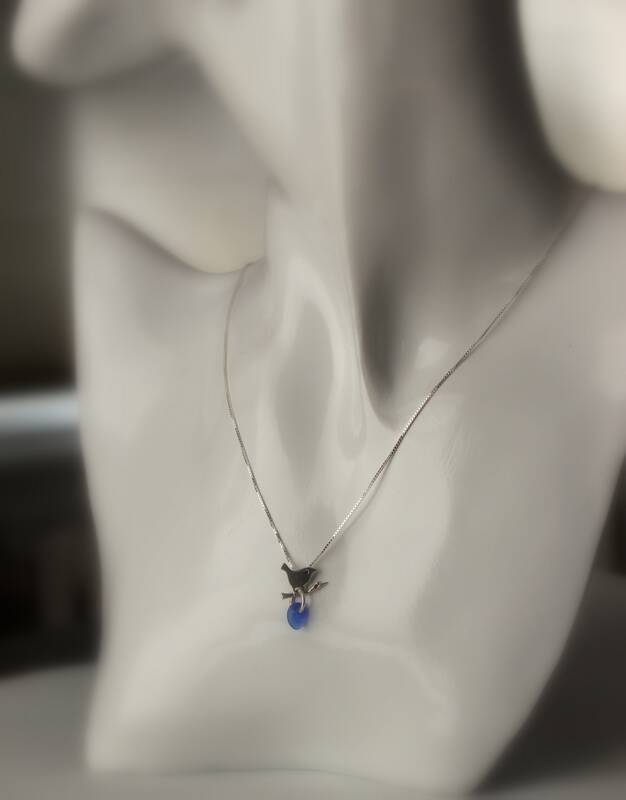 Beautiful necklace..just a wee bit smaller than I expected.